Gabriele Lockstaedt was born in Herford, Germany in 1957. She lives and works in Germany. 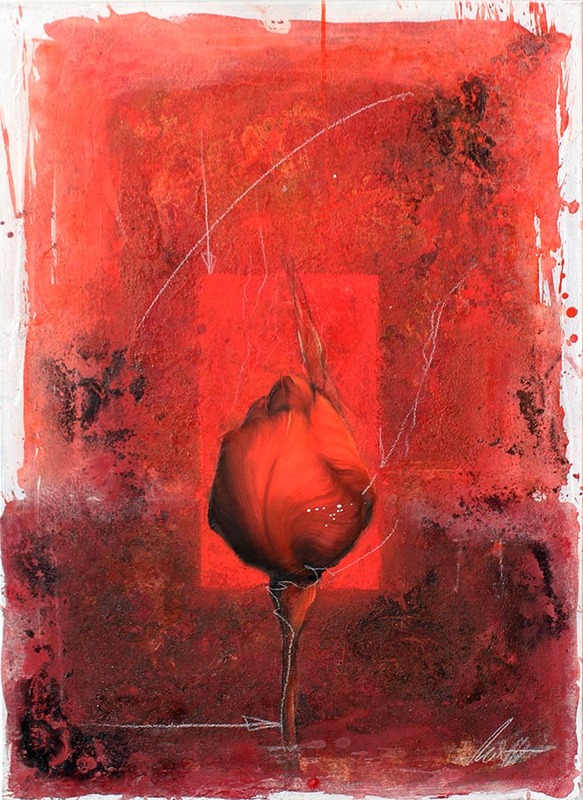 The artist prefers to work on canvas in a mixed media technique with oils, acrylics and chalks. She uses a mixture of color pigments and liquid colors that create a surface structure reminiscent of the old frescoes. Colors and forms already applied to the canvas are submitted to an organic process of wiping, scratching, grinding and rebuilding. The motives are mostly flowers and fruits, in an over life size scale. Many of her paintings include sketches of classical architectural elements, which not only structure and connect the composition but also express today’s yearning for the Mediterranean way of life and romantic connection with nature. Lockstaedt studied Fine Art in Munich from 1977-1982. 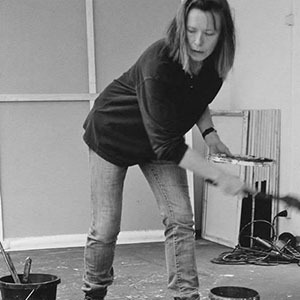 Since 1984 she has had over 100 solo exhibitions in Germany, Europe and the United States, many of which were held in art institutes and public venues. She’s been featured in over 30 print publications. Lockstaedt’s paintings are often coined visualized poetry. They involve collage, elements of written text and heavy texture, which give them an almost antique, timeless appearance.